For 70 years, the LSAT has been a rite of passage to legal education, a test designed to gauge students’ ability to learn the law. But its dominance could change. Beginning this fall, Harvard Law School will allow applicants to submit their scores from either the Graduate Record Examination or the Law School Admission Test. The significant change in admissions, a pilot program at Harvard, is part of a broader strategy to expand access. Because many students consider graduate school as well as law school, and because the GRE is offered often and in many places worldwide, the decision could make it easier and less expensive for people to apply, school officials said. Harvard’s decision was announced this week, just before the arm of the American Bar Association that accredits law schools considers changing its standards to allow tests other than the LSAT. Last year, the University of Arizona College of Law became the first law school in the country to allow applicants to submit GRE scores rather than LSAT scores. Two other schools followed. 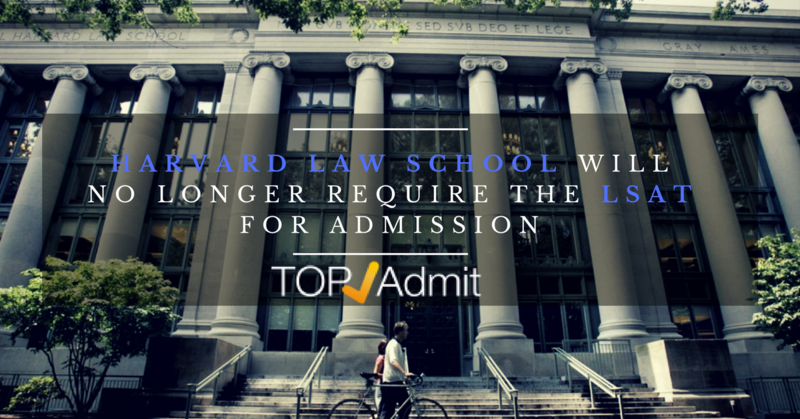 But for Harvard, which has one of the best law schools in the world, to do so could upend the admissions process for legal education. “This is a very big deal,” said Bill Henderson, a professor at the Maurer School of Law at Indiana University at Bloomington, who has written extensively about legal education and rankings. “This is a wise move. It makes them better off,” by allowing them to consider applicants in a more comprehensive way without worrying that their median LSAT score, and hence their ranking, will drop. It means they can look for leaders and academic brilliance and countless other qualities, even if those don’t always align with extraordinarily high LSAT scores. “It loosens the vise grip of these numerical admissions criteria on the legal academy. … This is really exciting, good news. In a sense, it brings admissions full circle: “You go back to the 1940s, 1950s, Harvard and Yale were the folks that put these tests in place to begin with. In the postwar years, they were getting this tremendous rush of applicants,” Henderson said, and they were gauging aptitude for the law largely based on whether students were able to pass the first year. And the LSAT was a huge success, he said, providing an excellent measure that allowed both students and schools a way to determine that without wasting a year. The trouble came in more recent years, he said, as schools developed a lopsided dependence on the test scores because of their effect on rankings. Something else has flipped since that time: the volume of applicants. Nationally, he said, law schools have struggled in recent years in the wake of the Great Recession as people learned that job prospects were threatened. “Schools are trying to find new ways to find people. Will other schools follow? Probably,” McEntee said. By the end of last week, there were more than 42,000 applicants for the 2017-2018 academic year, a decrease of 1.5 percent from the year before, according to the Law School Admission Council. The current numbers aren’t directly comparable with past numbers because of the way they are tallied, but there has been a significant decline in applicants; nearly 89,000 people applied in the fall 2006 admissions cycle, according to the Law School Admission Council. Harvard, by contrast, had a 5 percent increase in applicant volume both last year and this year, said Jessica Soban, associate dean for admissions and strategic initiatives. “Regardless of the number of applicants we have, this initiative is about making sure the most qualified candidates continue to consider us,” she said. “We have been out pretty publicly with a message that some of the cutting-edge legal issues rely on an understanding of science and technology and engineering problems. These are the questions that require not only great legal training, but the technical underpinnings really do help to understand the issues.” She said the school is “up to double digits” in people coming with science and technical backgrounds, and many of them may have initially considered other graduate degrees. About 17 percent of its current first-year class is made up of international students, she said, so broader access to the GRE was a significant factor. A study by the school examined the GRE scores of current and former students who took both the GRE and the LSAT and determined that the GRE is an equally valid predictor of first-year grades. “Harvard Law School is continually working to eliminate barriers as we search for the most talented candidates for law and leadership,” Dean Martha Minow said in a statement. “For many students, preparing for and taking both the GRE and the LSAT is unaffordable. It’s all part of broader efforts, Soban said, to make the school more accessible. Some of the changes include using Skype for interviews, wiping out the requirement of a deposit for accepted students and beginning a deferred-admission pilot program to encourage applications from juniors at Harvard College who commit to two years of work experience before law school. If other schools follow, it would provide more options for students. The GRE is offered almost every day, Thomas noted, compared with the LSAT, which is available only a few times a year. Kaplan Test Prep surveyed 125 law schools in May, and 56 percent said they had no plans to adopt the GRE as an admissions alternative to the LSAT. Just 14 percent said they planned to do it. But the remaining 30 percent said they were not sure, which Thomas said signified a lot of room to grow. “We think that number is likely to increase over the next few months,” he said. The council of the Section of Legal Education and Admissions to the Bar, an agency of the ABA, has planned a meeting from Thursday through Saturday in California at which the question of whether the LSAT is fundamental will be considered. 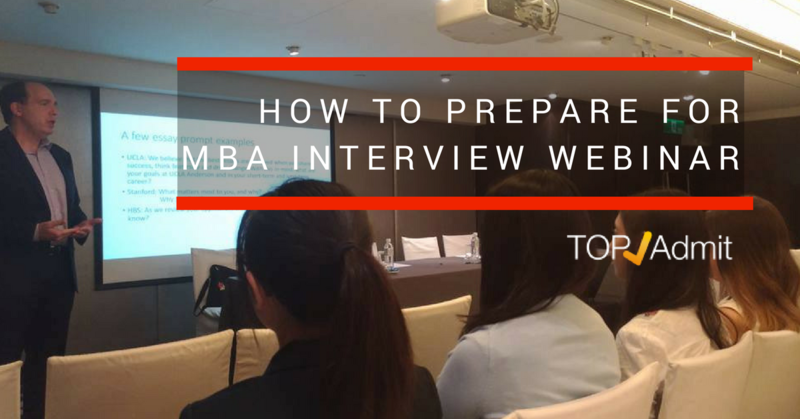 If you’re planning to attend University Fairs in the near future, TopAdmit has a wealth of can’t-miss tips on “Getting The Most Out Of a University Fair.” We interview educational industry veteran Nancy Tsai, Director of EnvisionPrep, who has nearly two decades of experience in advising students on preparing for their study abroad journeys. Best of all, if you SUBSCRIBE to our Youtube channel after viewing this video, share your thoughts with us via private message to get an exclusive 15%-off coupon to your next admissions essay, statement of purpose, or resume CVs’ edit! With the inauguration of the new Trump Administration, the educational winds may be changing for current international students and those who are still considering their options to study abroad. Among other things, students are concerned over a potential tightening in post-graduation US visa options including the OPT program and H-1B visa program. No matter the short-term political bumps in the road, however, international education will increasingly be a must-have in the modern worker’s and manager’s tool kit. Moreover, current uncertainty just goes to show that agile thinking always pays in today’s professional environment. So what to do? Consider Canada! This North American alternative is becoming an increasingly popular option for international students who are attracted by its friendly people, worry-free health care system, and astounding natural scenery. Furthermore, Canadian higher education is gaining increasing respect on the world stage. Today, we take a look at the most popular Canadian MBA programs. Something to think about, eh? 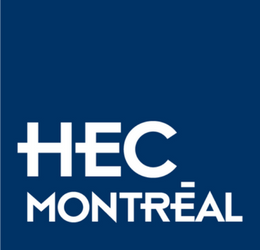 About: HEC Montréal is a French-language business school located in Montréal, Canada. Since its founding in 1907, the School has trained more than 78,000 students in all fields of management. HEC is the business school of the University of Montreal. 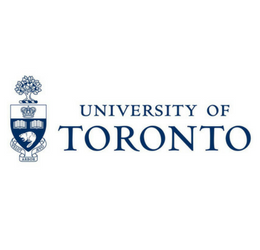 About: Located at York University in Toronto, Ontario, the school is accredited by the Association of MBAs (AMBA) and the European Quality Improvement System (EQUIS). 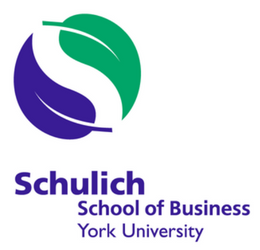 According to Forbes and CNN Expansión, Schulich has the best full-time MBA program in Canada. 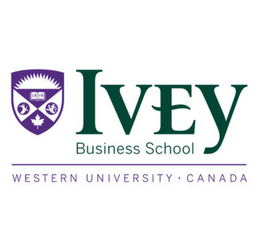 About: Ivey Business School (Ivey) is one of Canada’s leading business schools, located at the University of Western Ontario, a research-intensive university in London, Ontario, Canada. According to Bloomberg BusinessWeek, Ivey has the best full-time MBA program outside of the United States. 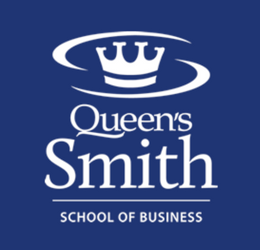 About: Queen’s full-time MBA program was ranked as the number one full-time MBA program in Canada and number one outside of the U.S. by the bi-annual ranking of Business Week in 2004, 2006, and 2008. Environics ranked the Queen’s Full-time MBA program number one in Canada in 2006 in their Report on Executive Education in Canada. In the 2012 QS Global 200 Business Schools Report, the school was indexed as the 3rd best business school in Canada and the 16th best business school in North America. · For MBA programs, an undergraduate degree is needed but not necessarily in a business field, and two years of postgraduate work experience. Interested? TopAdmit can help you out! TopAdmit offers Ivy League-quality editing and advice for all levels of admissions essays. We have a distinguished track record and have proudly assisted students from over 50 countries to get into their dream schools. Upload your essay now! It is always useful to read other people’s work to get a sense of what good essays are. To assist you, TopAdmit provides you some MBA essay samples written by counselors and editors hailing from prestigious schools including Harvard. This page contains personal statement samples, statement of purpose samples, and application essay samples for college. But please remember, these are for your reference only; it is not to your benefit to copying their style or concepts. It not only violates academic ethics and could lead to an automatic rejection by the admissions committee — the point of our service is to help you construct a unique essay — not one similar to other essays. To get 15% off your next editing order. What better sendoff for a successful Year of the Monkey? The Lunar New Year holiday is coming up, and this is no time to monkey around! 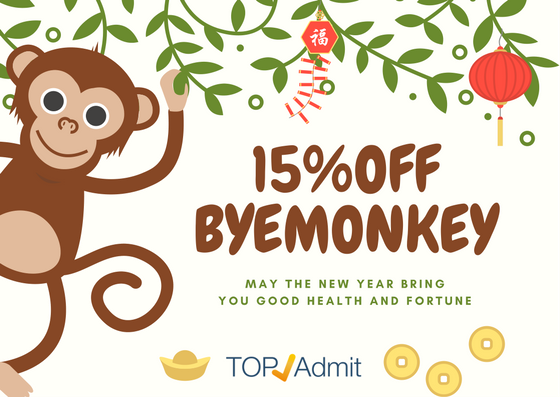 If you have upcoming applications or interviews to prepare for, use this 15%-off coupon code to get the very best in editing services: BYEMONKEY. Good through January 28. Admissions committees are always on the lookout for confident, capable applicants. One of the best ways to demonstrate these qualities in an essay or personal statement is through the use of the active voice. By using the active voice when sharing personal stories, goals, and future plans, your essay will take on an assertive, confident tone. 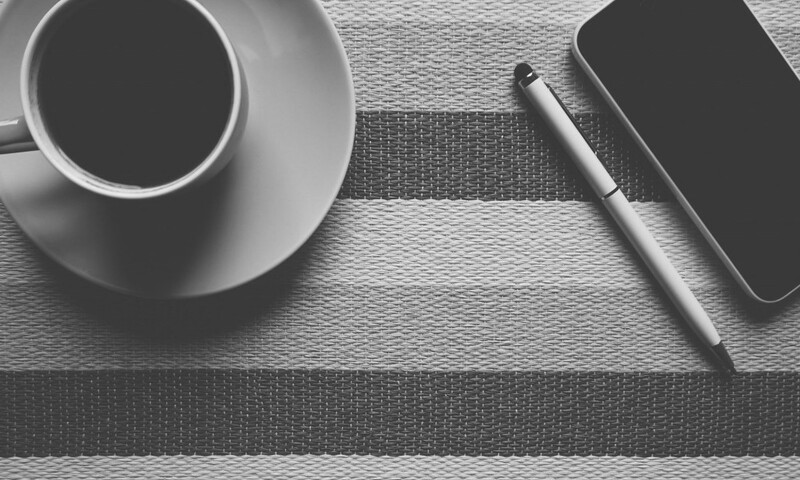 Simply put, whether a sentence is written in active or passive voice depends on the subject. When the subject of the sentence performs the action, the sentence is written in the active voice. For example, “I led a campaign to end world hunger.” In this sentence, the writer led the campaign. However, when the subject of the sentence receives the action, the sentence is written in the passive voice. For example, “A campaign to end world hunger was my first leadership experience.” The emphasis is on the campaign rather than on the writer’s leadership. Why should I use the active voice? Using the active, rather than passive, voice is most common in English writing and speaking. The active voice is generally more straightforward and gives the writer a more confident and assertive tone. It’s especially effective to use the active voice when you are sharing stories from your personal life, explaining your goals, and naming your plans for the future. 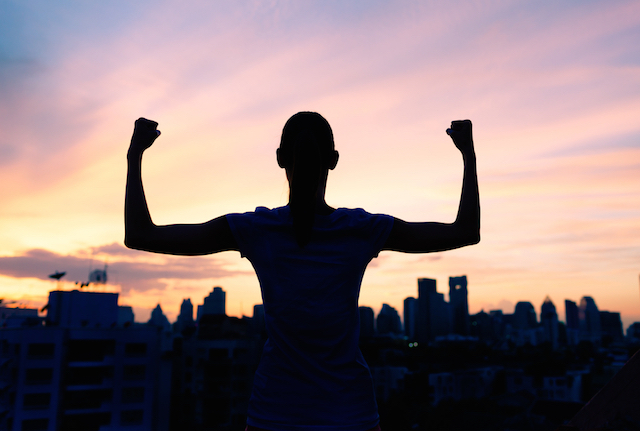 Below, we’ve included examples that show how using the active voice can make a big difference in conveying confidence. When giving details about your personal experiences, using the active voice can help you emphasize that you used the experience to learn and grow. Look at the difference between the examples below. 1. ACTIVE: As a young child, I was impressed by my father’s work ethic. 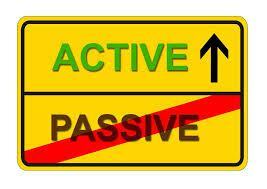 PASSIVE: My father’s work ethic impressed me as a young child. 2. ACTIVE: When I was an undergraduate, I saw a shocking example of social injustice. PASSIVE: An example of social injustice shocked me when I was an undergraduate. As you can see, the examples written in the active voice focus on the writer’s experience. These statements set the expectation that we are going to learn more about how these experiences shaped the writer’s goals and motivation. The examples written in the passive voice make less of an impact. The active voice is also appropriate when explaining your plans for the future. Using the active voice is a subtle way to emphasize that you are taking control of your future and setting goals for yourself. Look at the difference between the examples below. 3. ACTIVE: I plan to start my own business and positively impact the community. PASSIVE: Starting my own business and positively impacting the community is my plan. 4. ACTIVE: I hope to make connections at my internship site and continue working in the field after graduation. PASSIVE: Making connections at my internship site and continuing to work in the field after graduation is my hope. In the examples that use the active voice, the writer appears proactive and confident. When the same sentences are rewritten in the passive voice, the writer appears more tentative and wistful. While the difference between active and passive voice is a matter of grammar, the impact of using the active voice is a matter of confidence. 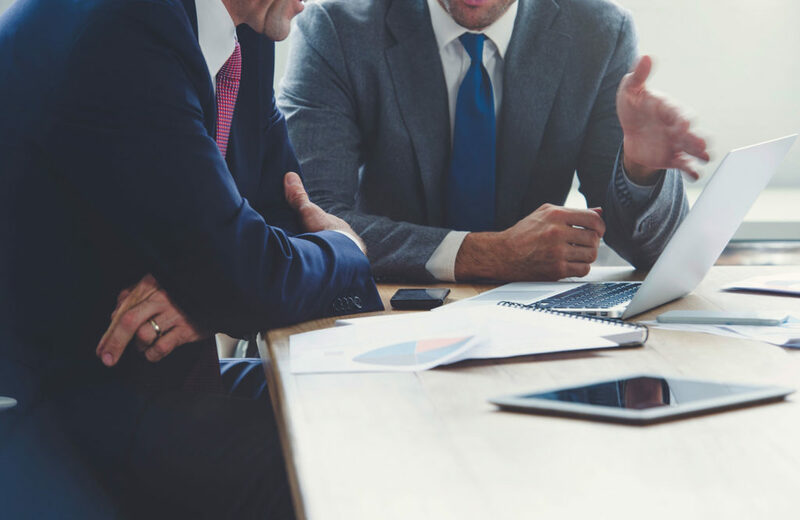 Particularly when sharing examples of personal experiences, goals, and plans for the future, using the active voice conveys a positive, proactive attitude. For admissions committees looking for the best applicants, a self-assured tone can go a long way. It is always useful to read other people’s work to get a sense of what good essays are. To assist you, TopAdmit provides you some college admissions essay samples written by counselors and editors hailing from prestigious schools including Harvard. This page contains personal statement samples, statement of purpose samples, and application essay samples for college. But please remember, these are for your reference only; it is not to your benefit to copy their style or concepts. It not only violates academic ethics and could lead to an automatic rejection by the admissions committee — the point of our service is to help you construct a unique essay — not one similar to other essays. If your aim is to study in a highly noted university or school, then you must prepare an impressive and attractive personal statement. Your admission criteria will totally depend on how effectively you present your résumé to the panel deciding whether to accept you as a candidate for admission to their institution. 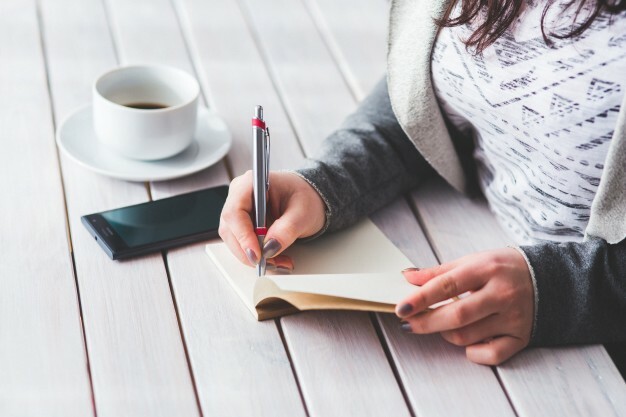 Writing a personal statement can be a daunting task, but the following tips should help you easily surpass your difficulty level.